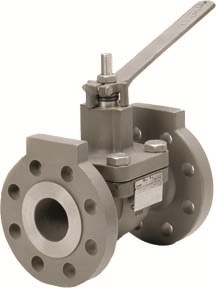 Metal ball valves are able to maintain their seal in high-temperature, very abrasive and even corrosive environments, making them a versatile option for most industries. SEMCOR offers a full complement of metal ball valves, distributing them throughout the Midwest and also offering fabrication services. ITT Industries Cam-Tite Metal Ball Valves. This metal ball valve is designed to require low torque, making it easy to use the handles throughout the entire size range. Options include safety handwheels, T handles and spring-return handles. Sharpe Valves: Metal Ball Valves. Sharpe specializes in ball valves and has plenty of options to meet different industrial needs, though it has a heavy focus on the petroleum, refining, chemical and petrochemical processing sectors. A full material selection and multiple integration and mounting options make it a leader. Browse SEMCOR’s entire selection of metal ball valves or navigate to a brand itself by clicking on their logo. Find the option you like or note the customization you need, and then reach out to our experts. When you contact us, our knowledgeable staff will help you complete your order and ensure you receive your parts in time.